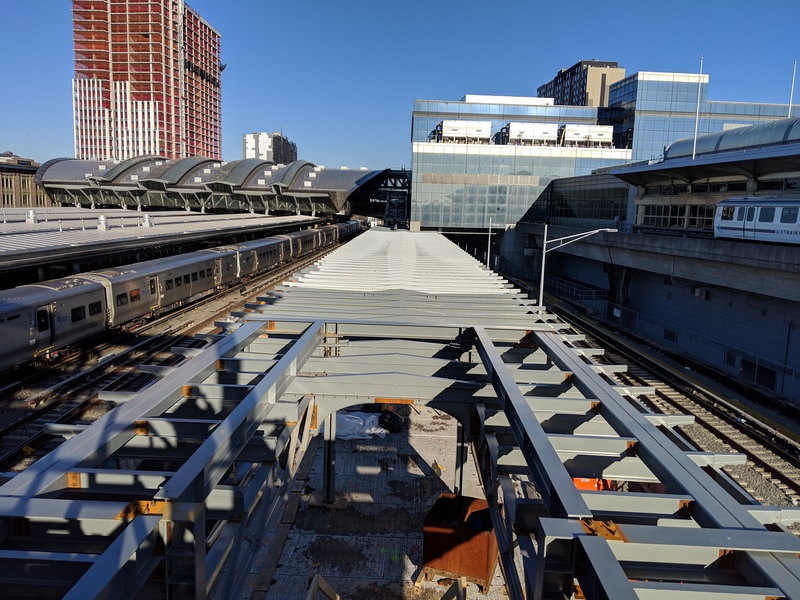 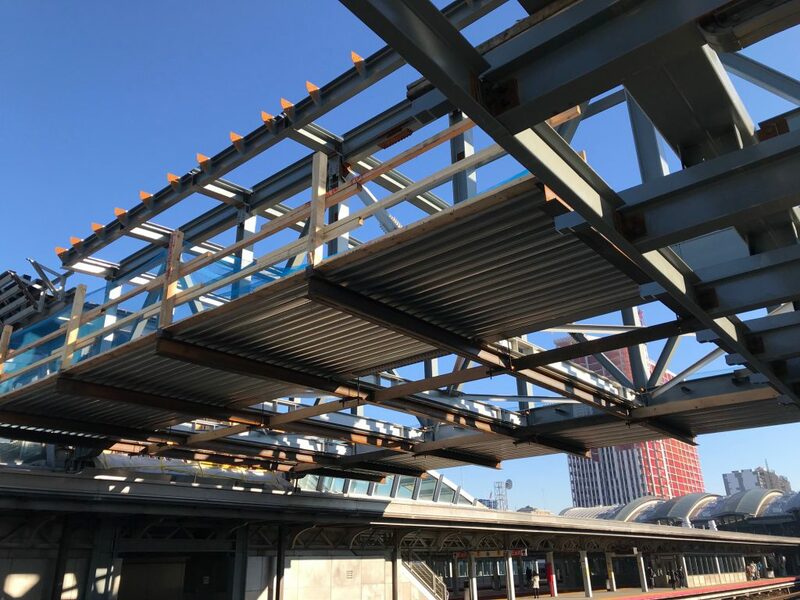 Progress continues on the construction of a new platform at Jamaica Station, including the erection of steel for the platform canopy, the bolt-up and welding of steel for the Westerly & Portal Bridges, the painting of steel, the installation of platform utilities and the preparation of concrete decking for the Portal and Westerly Bridges. 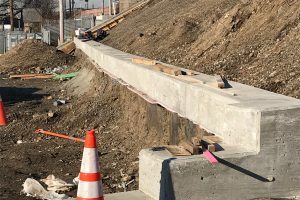 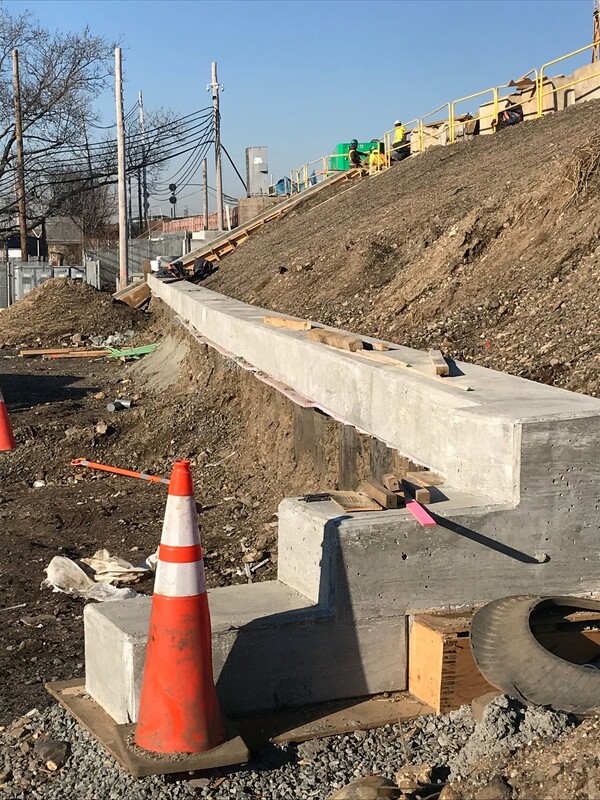 The contractor also recently completed the construction of a new sheetpile retaining wall on the west end of the job site. 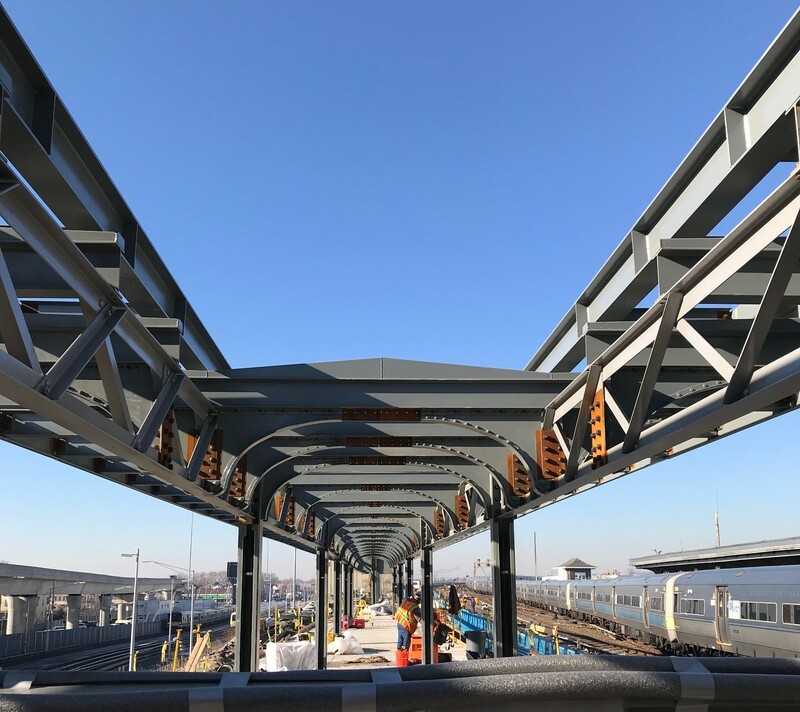 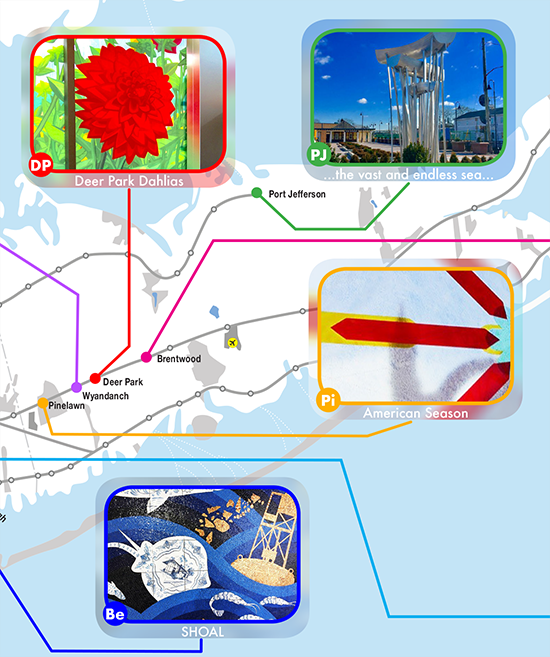 Looking ahead, the contractor will begin installing architectural elements, continue with the installation of utilities and wrap up the concrete decking on the new Portal and Westerly Bridges. 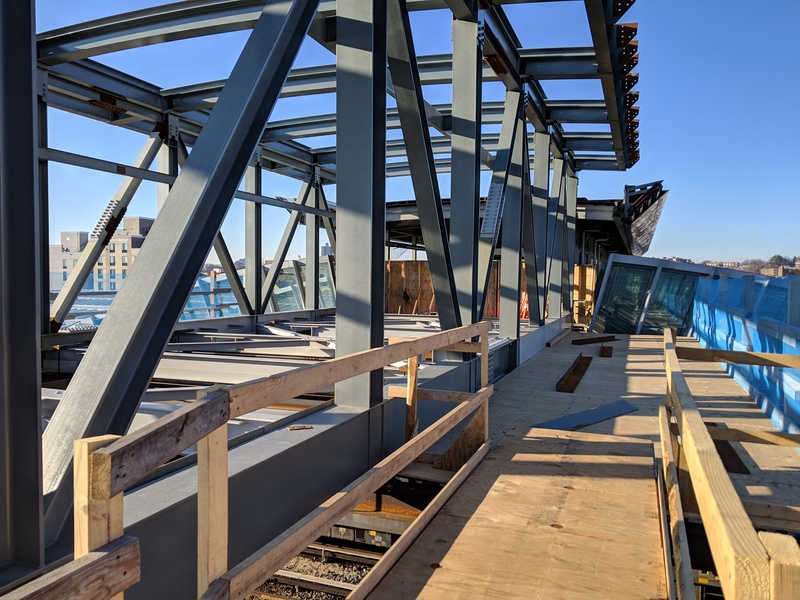 The new platform will be outfitted with a glass-enclosed heated waiting area, free public Wi-Fi and charging stations. 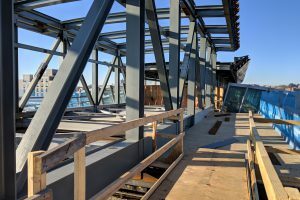 improve train speeds through Jamaica. 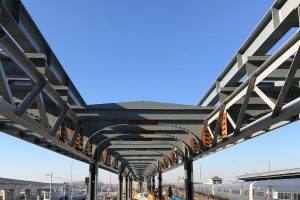 install higher speed switches both east and west of the station. 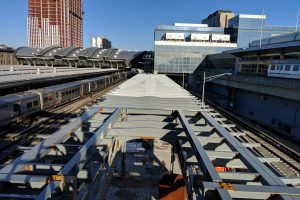 Overall, the Jamaica Capacity Improvements project will accommodate growing ridership on the LIRR and further the development of Jamaica Station as a central hub for LIRR passengers.